Past PRG Updates and Press Releases are archived here. All Citizen Hearing on Disclosure DVD sets were delivered to the House and Senate. Direct contact with congressional offices will begin on December 1. Emphasis will be on Members of key committees and Members referred to PRG by constituents. The key committees are these: House: Intelligence; Science, Space and Technology; Homeland Security; Oversight and Governmental Reform Senate: Intelligence; Commerce, Science and Transportation; Homeland Security; and Governmental Affairs. The social media campaign to ensure the DVDs are reviewed by congressional staff is moving forward rapidly. The number of tweets with hashtag #disclosure since Oct. 29 is 175,000. The campaign is being run from three web locations: The Disclosure Lobby (Facebook), www.faxonwashington.org, and www.disclosure.media. It will continue throughout December. Due to the presidential immigration directive and the pending events in Missouri, most congressional staffers were still in town when the CHI was well covered in the Washington Times on Sunday and Monday, November 23, 24. Given all congressional staff read the political sections of the two major DC papers daily and coupled with the social media campaign, it is fair to say awareness of the CHI on Capitol Hill is well underway. 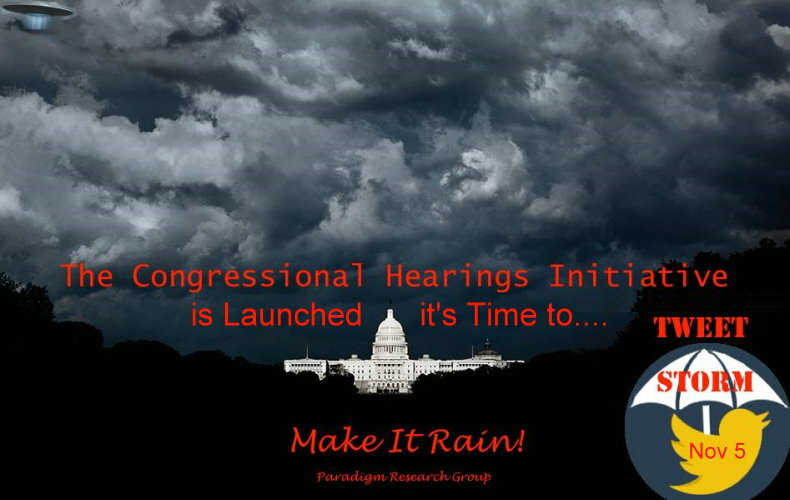 The Congressional Hearing Initiative would not be possible without the Citizen Hearing on Disclosure held at the National Press Club April 29 to May 3, 2013. The DVD video record of the CHD just sent to Congress will open the door for the necessary meetings needed to establish a consensus for hearings. Presently a commercial quality version of the CHD DVD is available at the CHD website. 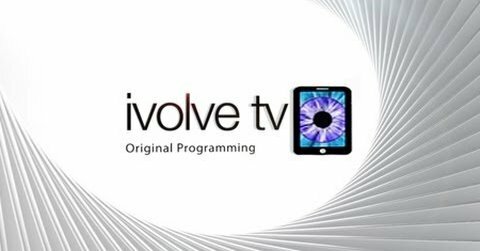 A great deal of Disclosure related video has been produced and compiled by Ron James, founder of Ivolve TV. This includes a recent, extensive inteview with PRG executive director Stephen Bassett. PRG commends the work Military witness Dan Willis, who has compiled a wonderfully compact history of relevant developments going back to 1947. Of particular note is the closing summary and futurist prescription, Imagine This. President Bill ClintonPRG has recently discussed an interesting connection between a previously announced launch of the Congressional Hearing Initiative for March 31 and a Jimmy Kimmel talk show taping with President Clinton just 30 hours later and before he would have known the CHI launch had been postponed. PRG has been reminded of another Clinton interview. This one occurred in Hong Kong in September of 2005 a few months after the second X-Conference produced in the Washington, DC metro area by PRG. Both X-Conferences contained presentations addressing the Rockefeller Initiative, which will forever connect Bill Clinton, Hillary Clinton, John Podesta, Leon Panetta, Albert Gore and Bill Richardson to the Disclosure process - a connection to which none of them have ever spoken publicly. Compare the two interviews. Was the Hong Kong interview another attempt by Clinton to inoculate himself against the inevitable engagement of the Rockefeller Initiative by the media? James Foo has been involved in energy work and alternative healing for over 20 years. 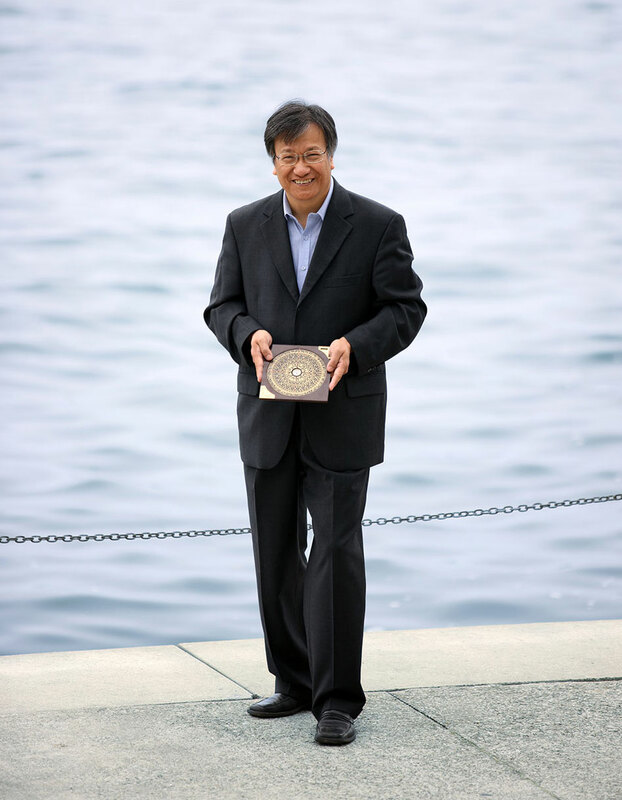 He is a highly sought-after Qi Gong and Feng Shui Master who conducts Feng Shui audits for businesses and individuals in Canada, London, UK and occasionally in Hong Kong and Shanghai, China. James has also assisted many clients to heal their bodies with his Chi-Matic Healing modality. James was born with the capacity to see energy and how it moves. He was trained by Allen Wright, a psychic on the art of communication with the spirit world. As a result of this sensitivity he developed an understanding of how to re-balance the chi in our organs to recover from sickness and improve our health. He also teaches people to see auras and do remote healing and devotes much of his time developing the Chi-Matic Healing modality. In these classes he teaches about energy (called Chi), how to feel it and what to do with it. He continues to explore and expand the boundaries of this research. James Foo’s Feng Shui teacher was Master Francis Yip of Toronto. He now combines his gift of seeing, feeling and tasting of chi with the Art of Feng Shui and he also utilizes the Four Pillars of Destiny Method. He holds a degree in Science from Sussex University, England and a Computer Science degree from Imperial College.